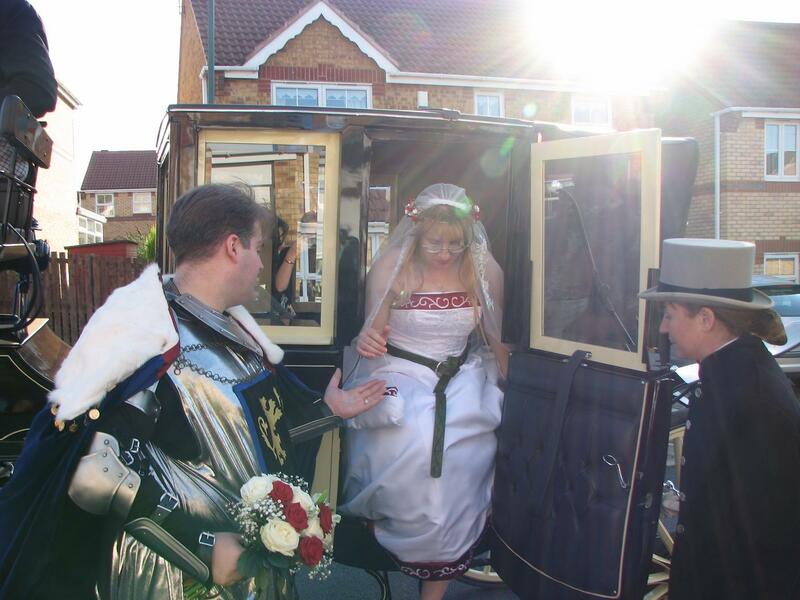 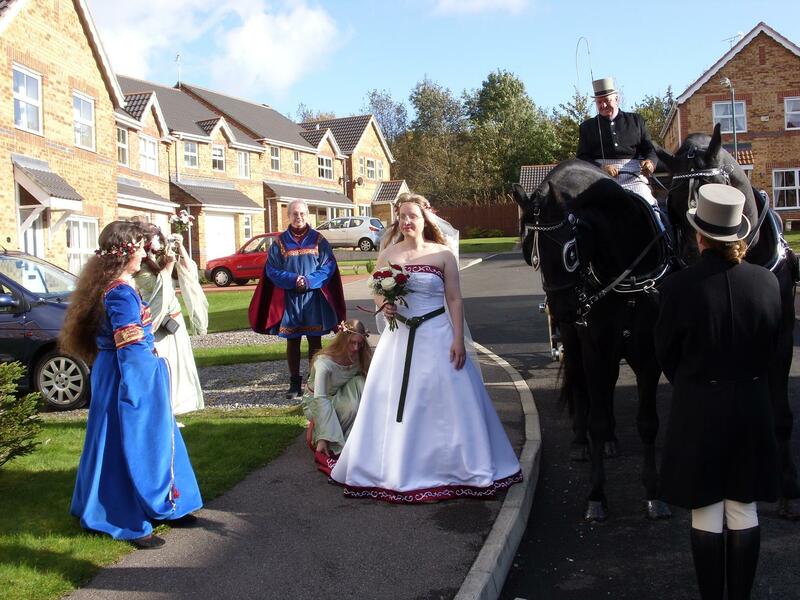 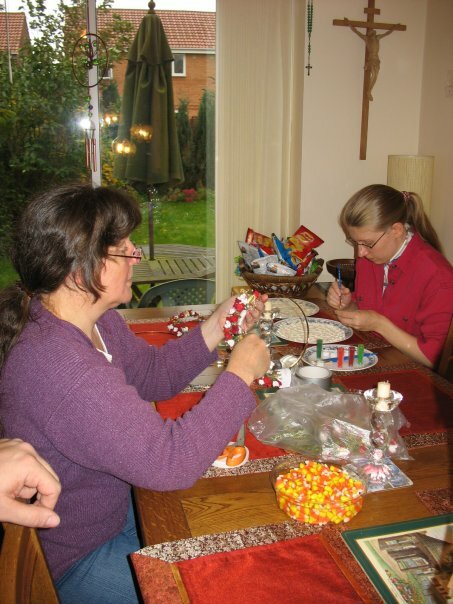 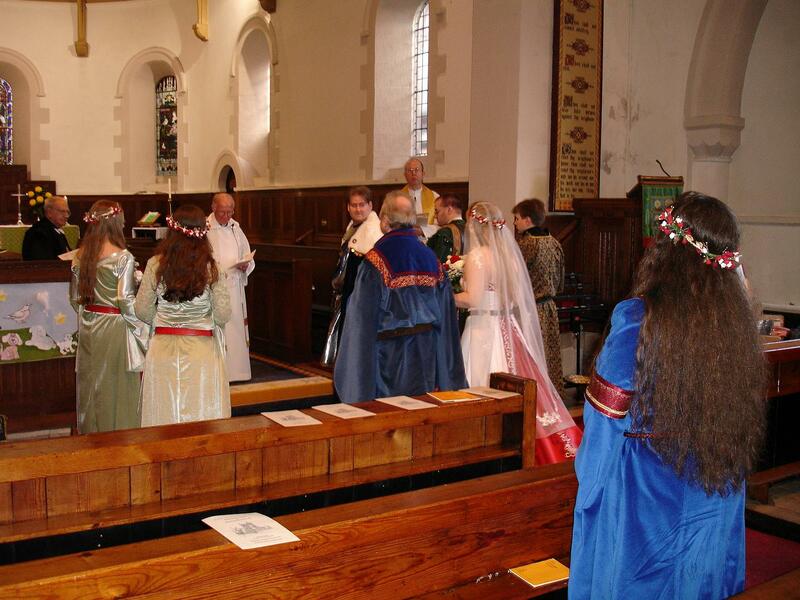 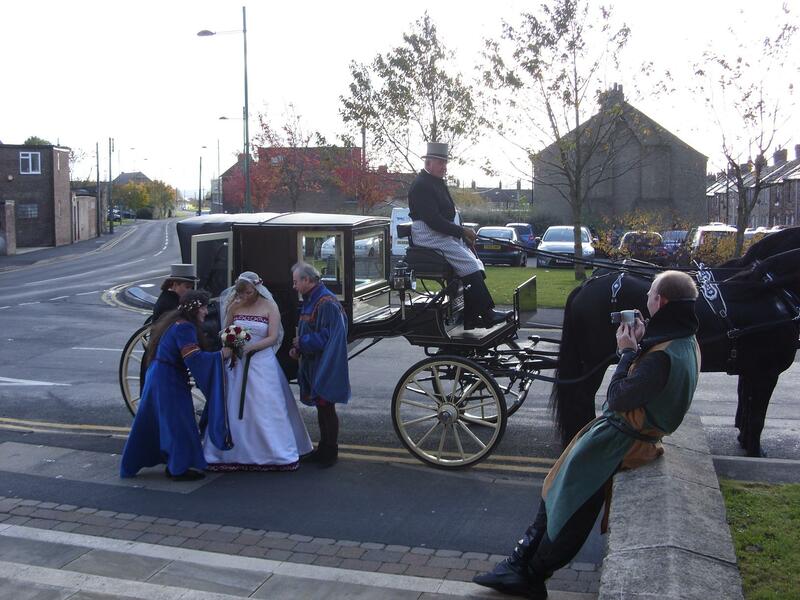 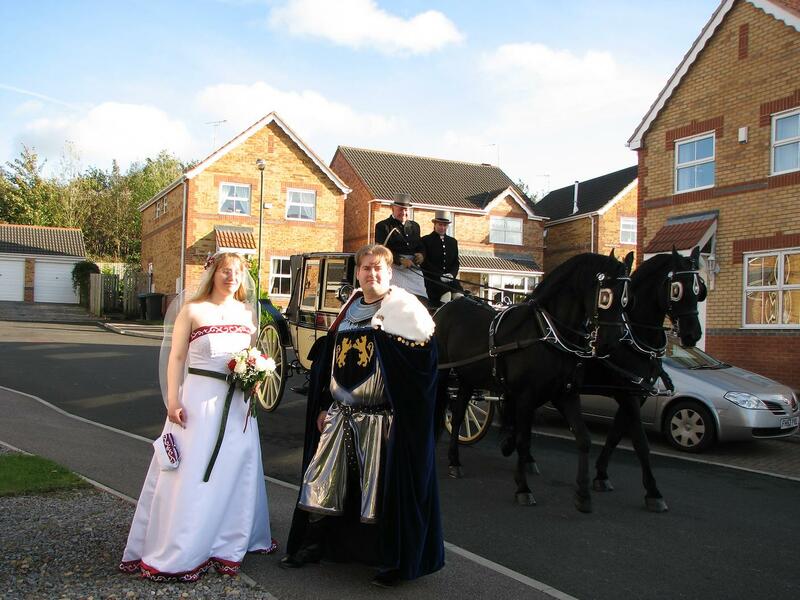 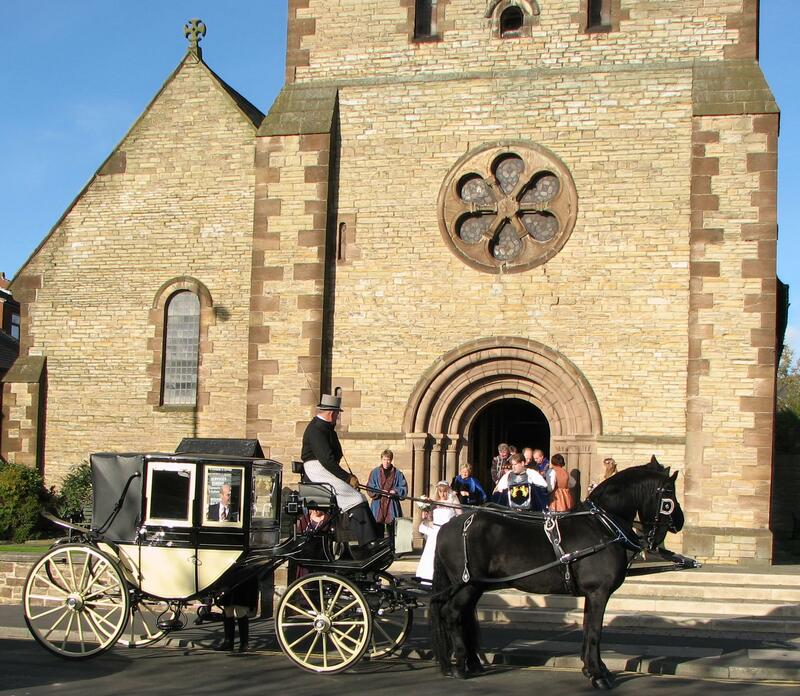 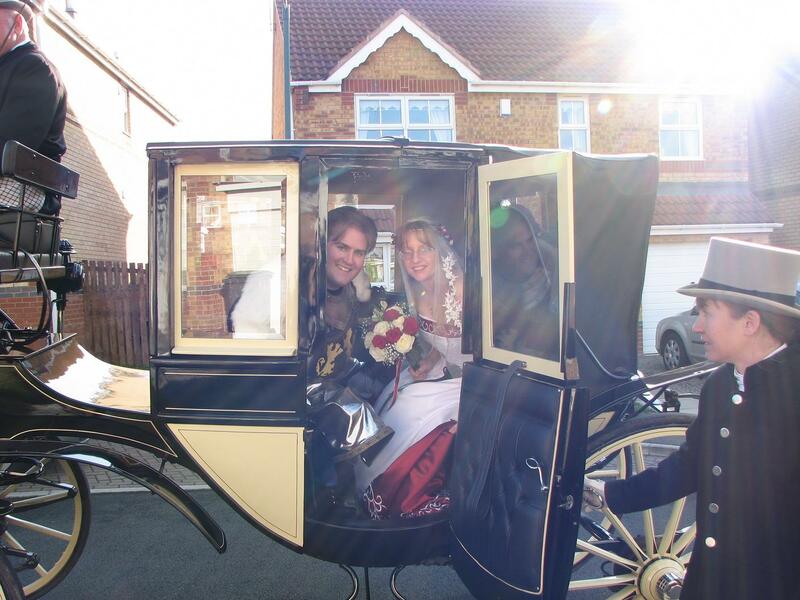 An event which showcased a number of Coral's creative talents was the wedding of our daughter Rachel, held in October 2008 at Christ Church, in Consett, County Durham, England. 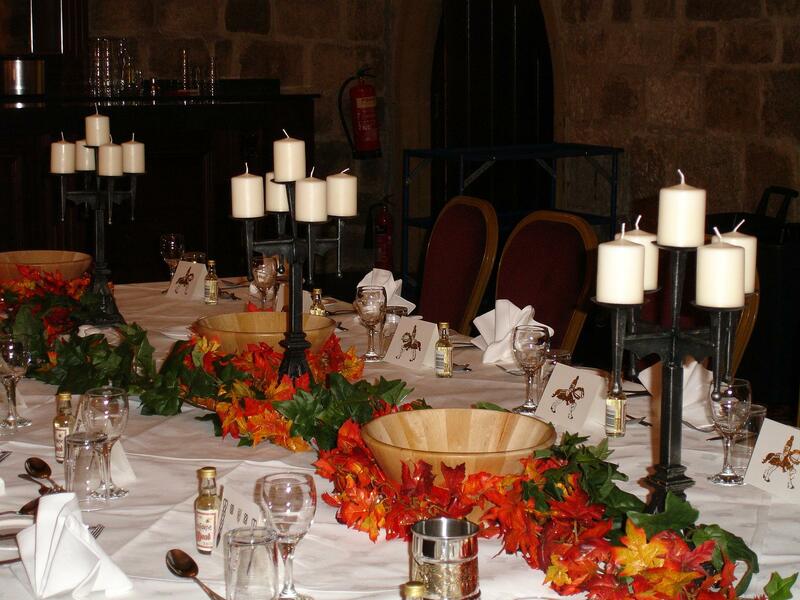 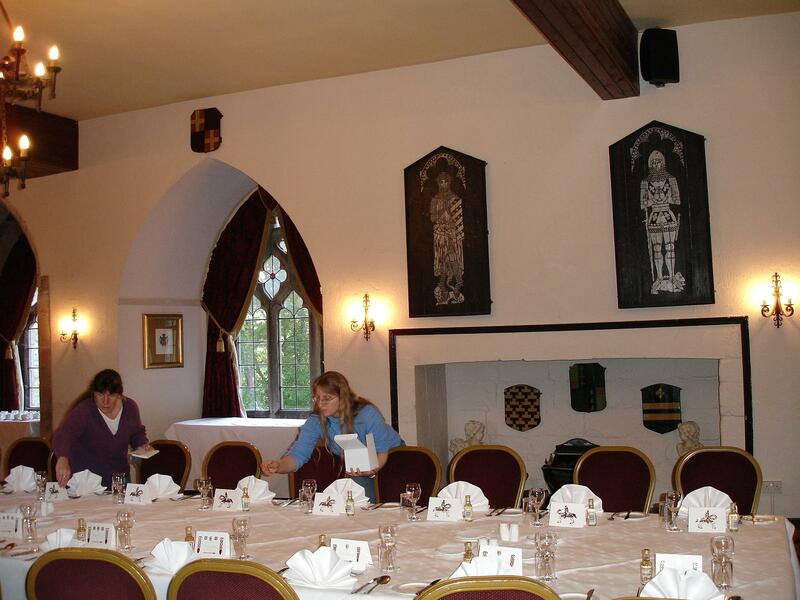 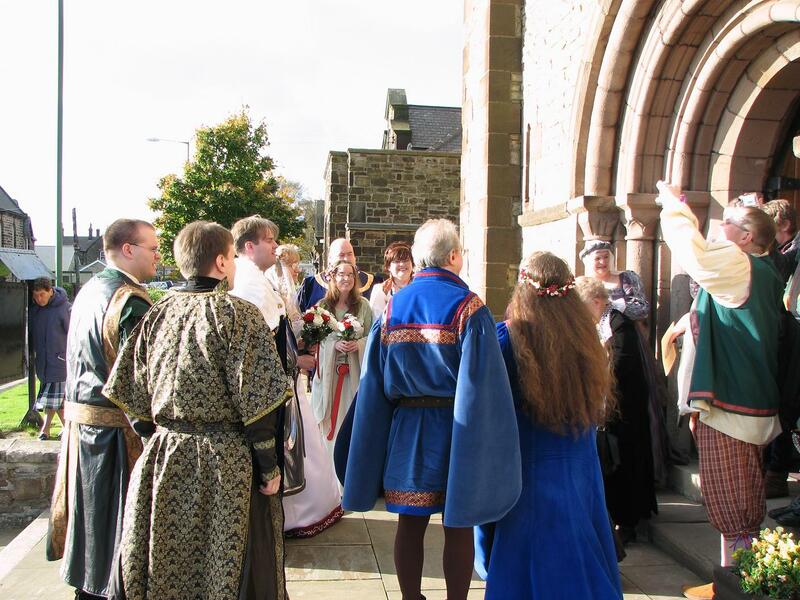 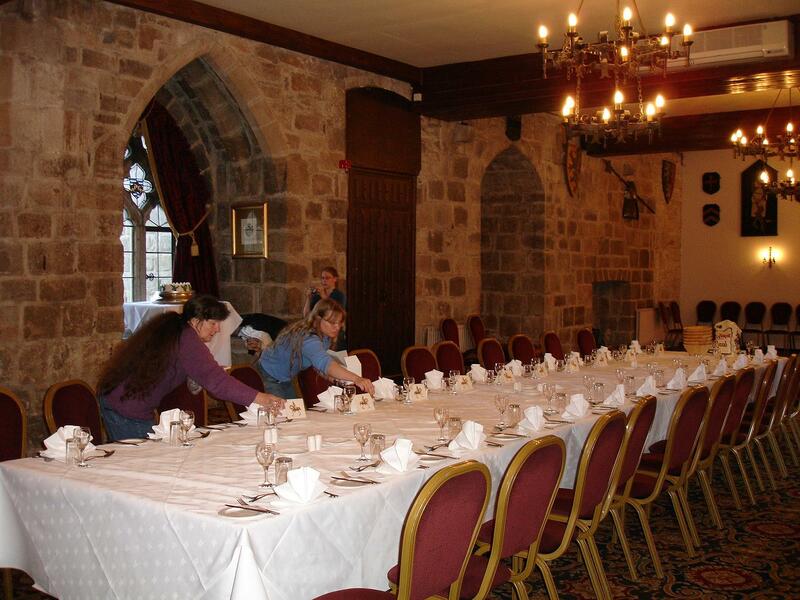 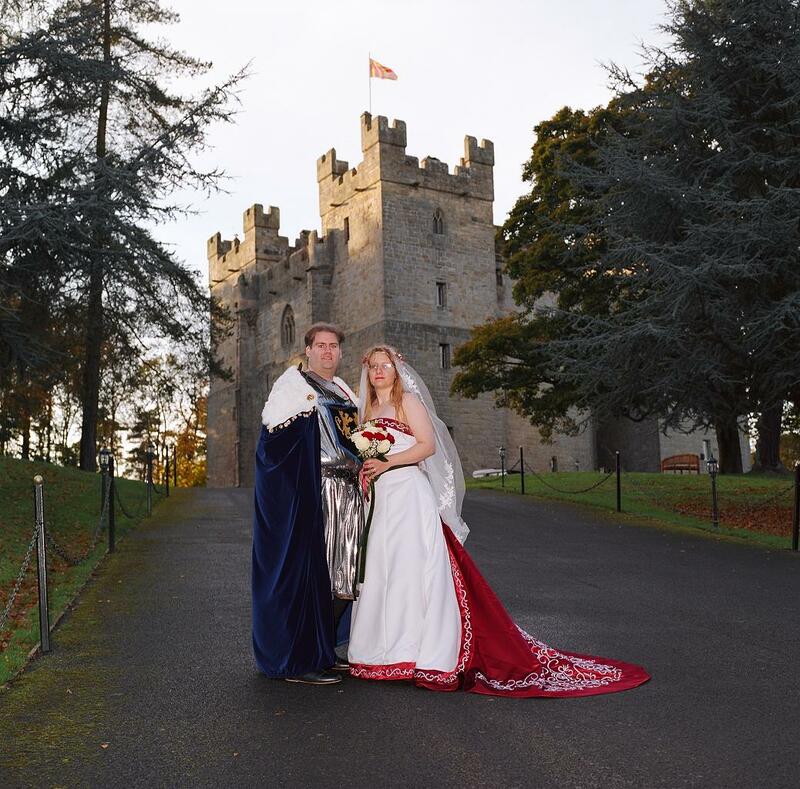 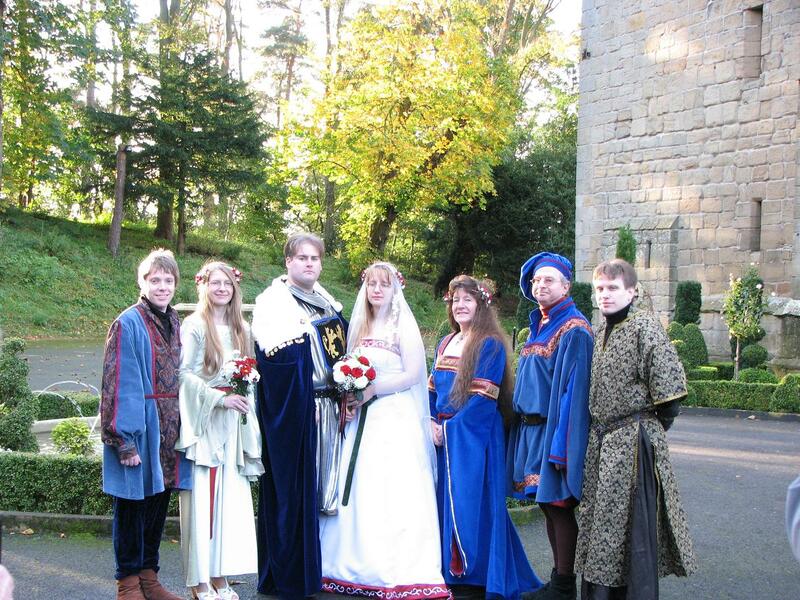 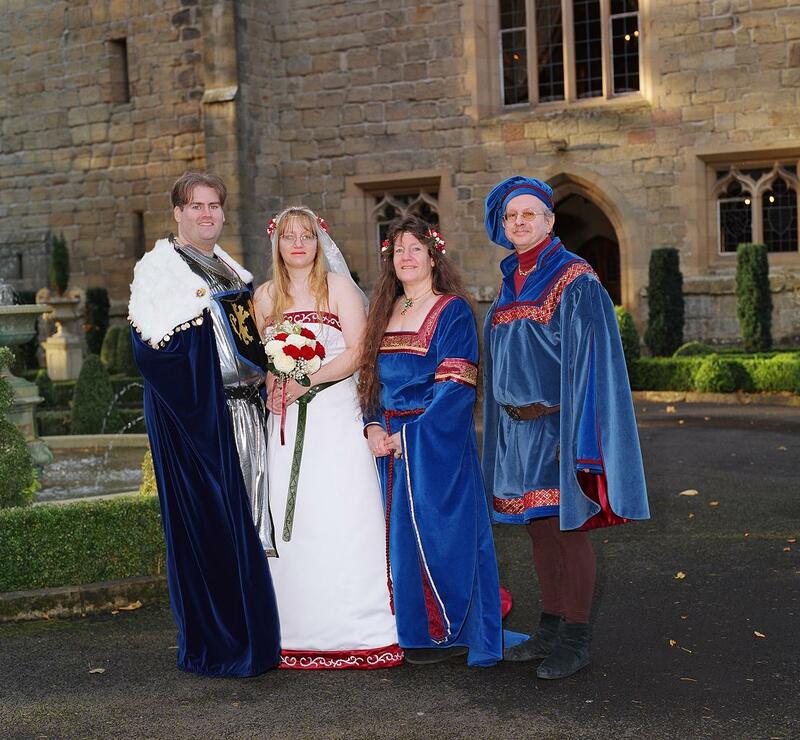 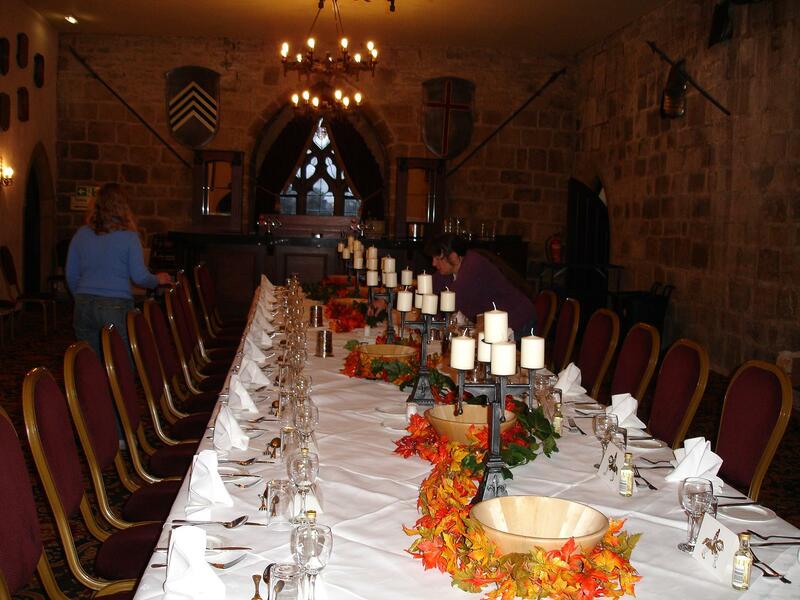 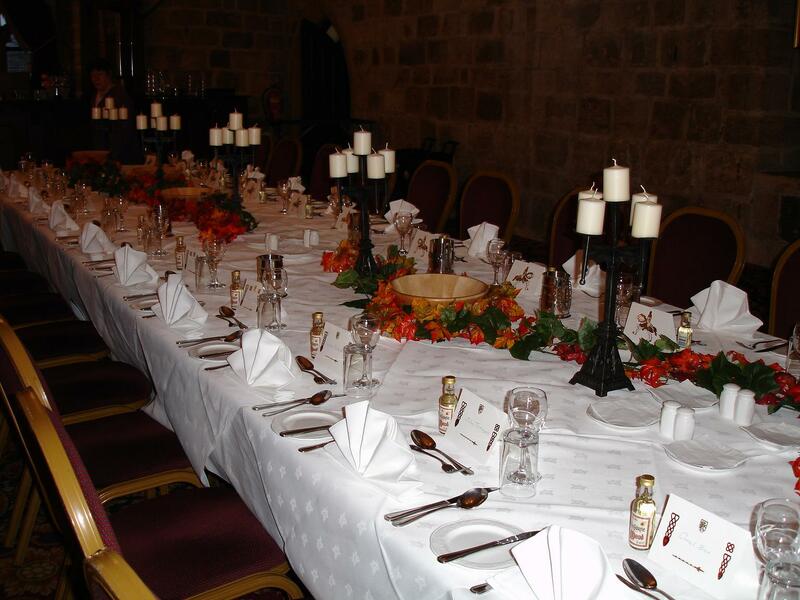 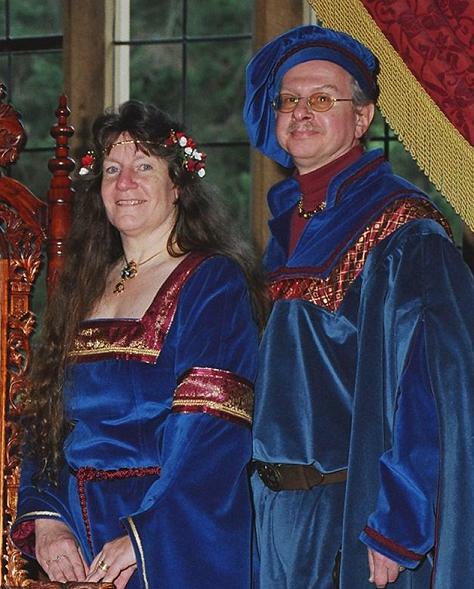 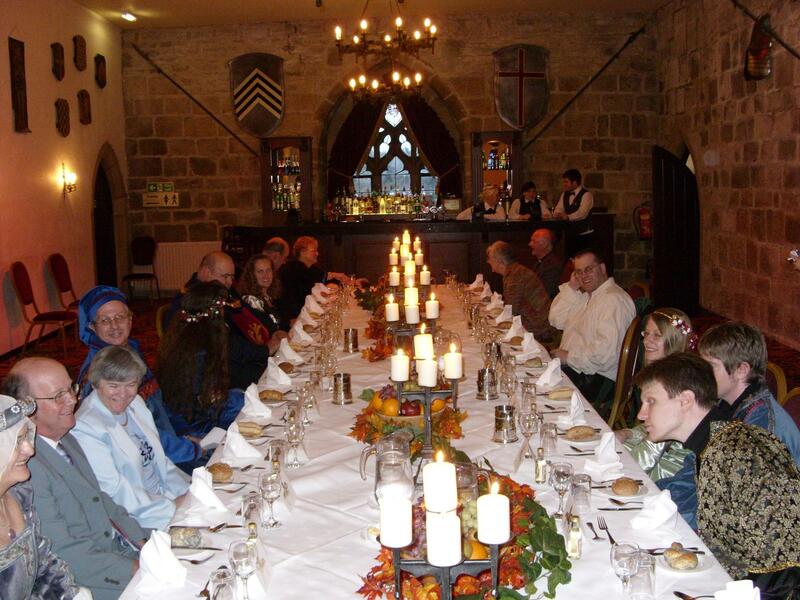 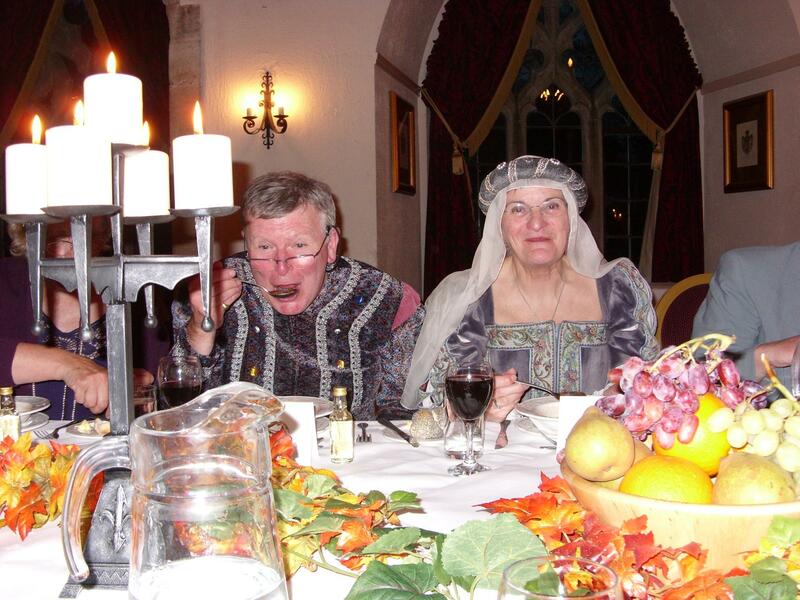 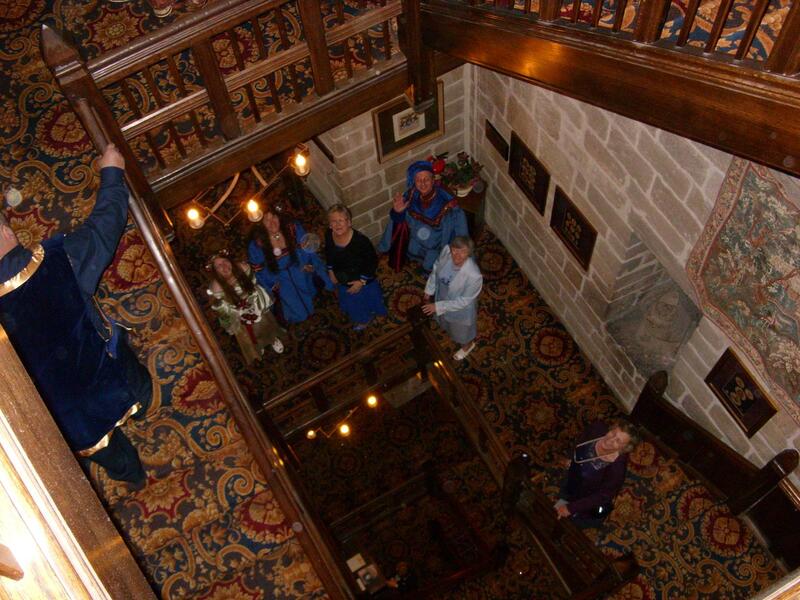 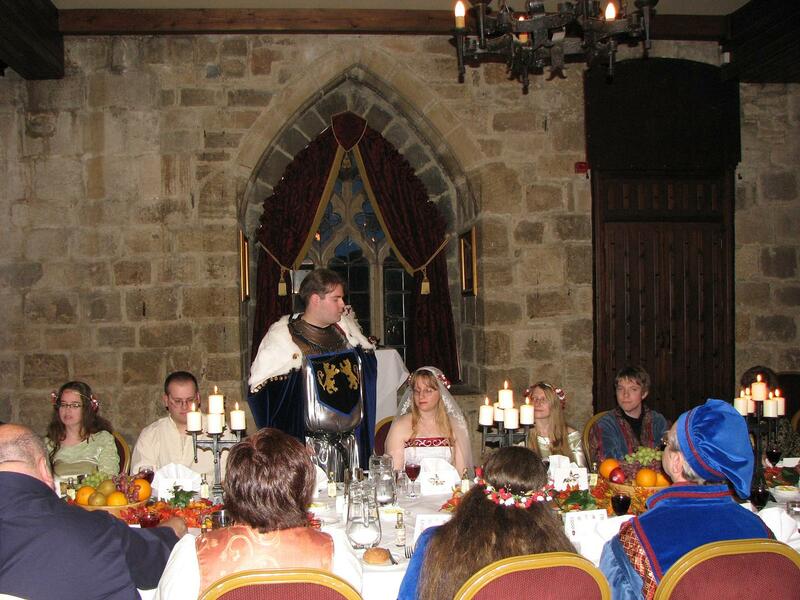 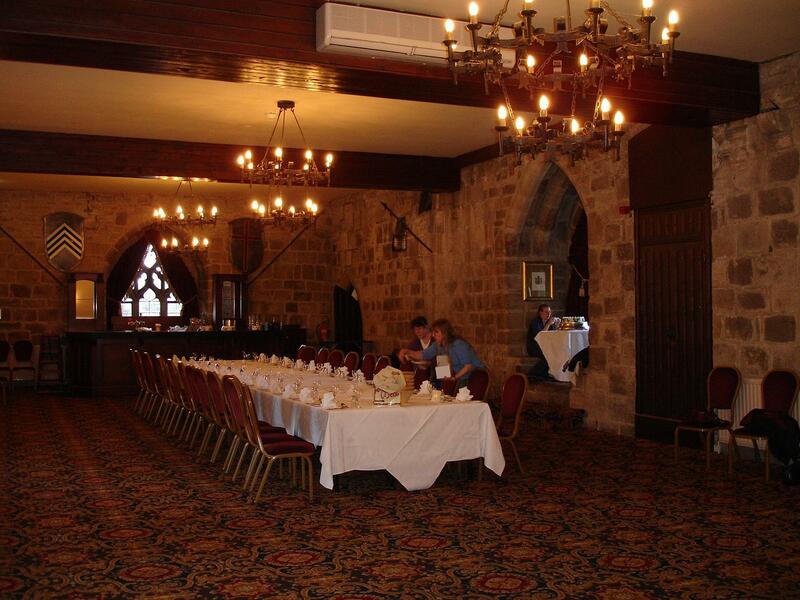 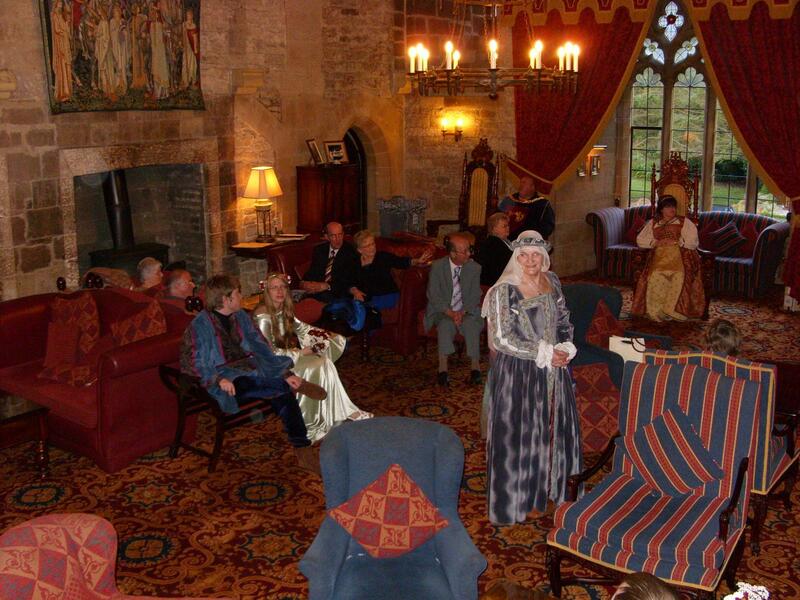 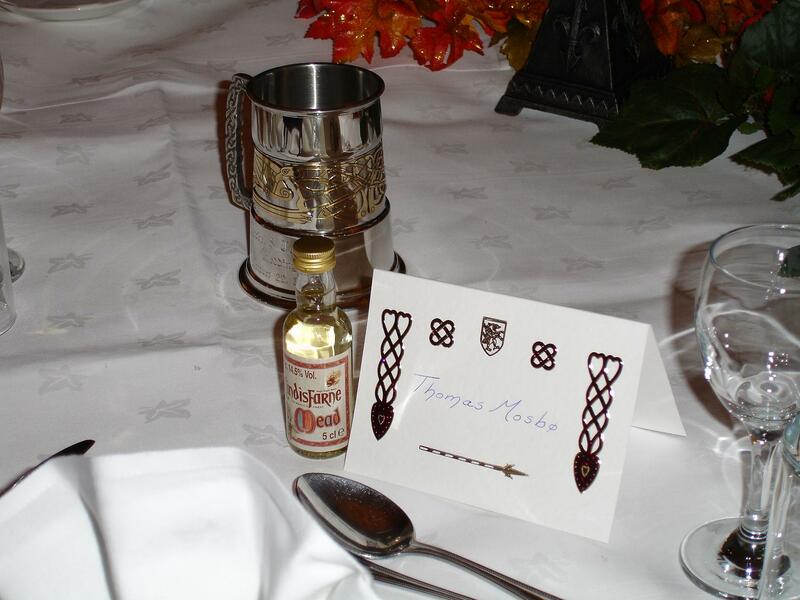 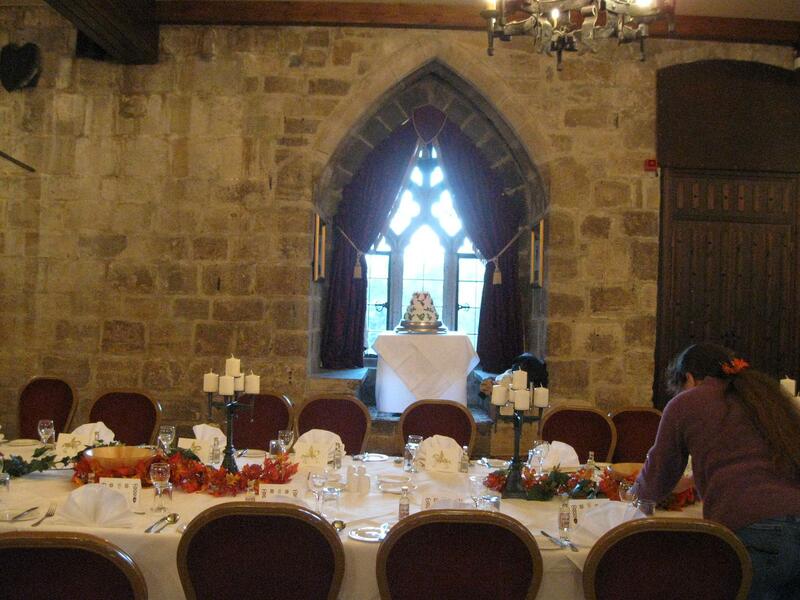 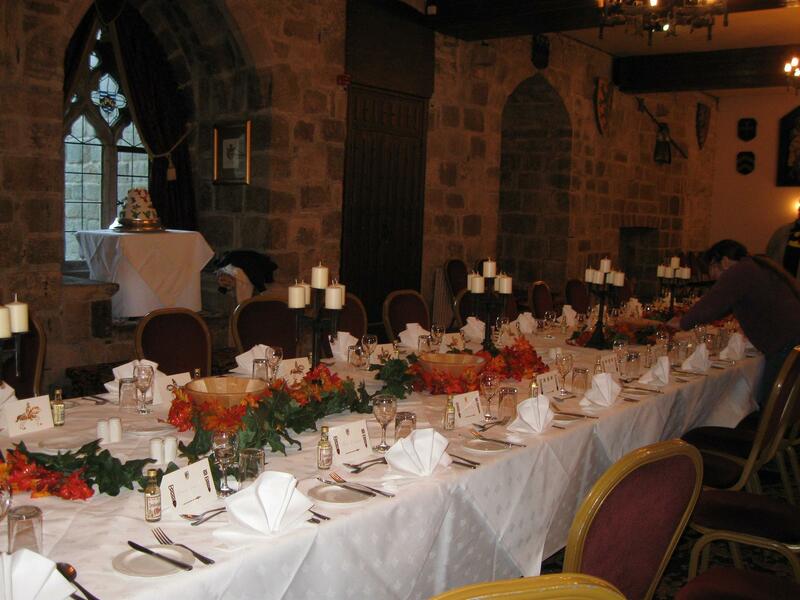 The medieval-themed reception was held in the Stuart Banqueting Suite of Langley Castle, in Northumberland, where Coral and Rachel planned and decorated the feasting table and made all the placecards. 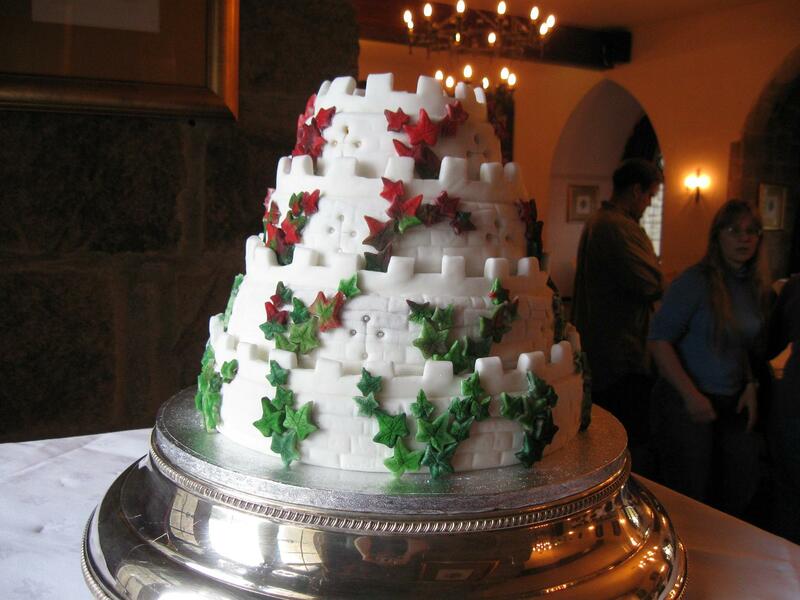 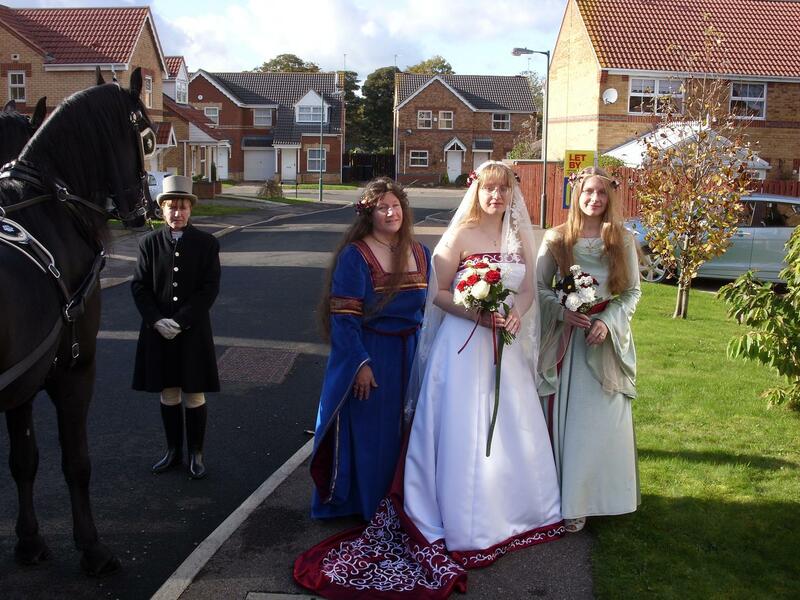 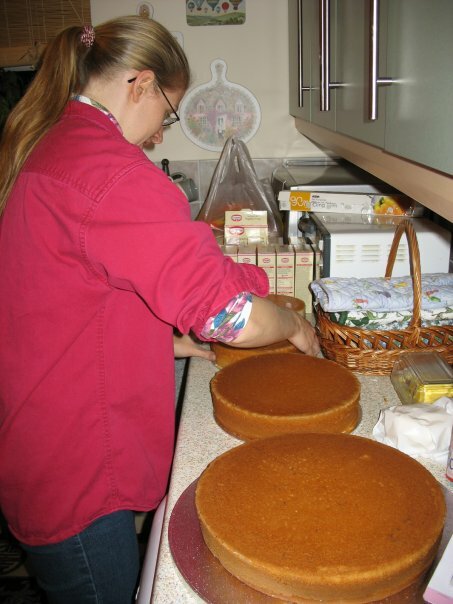 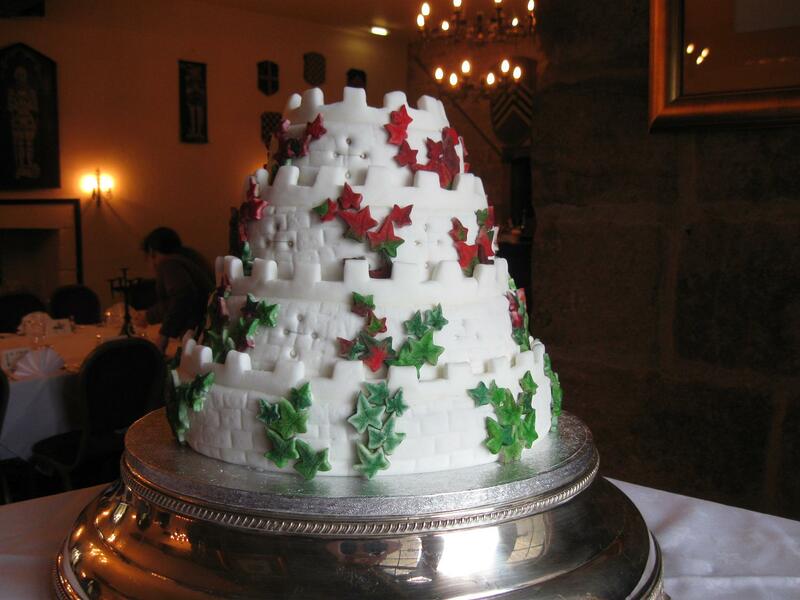 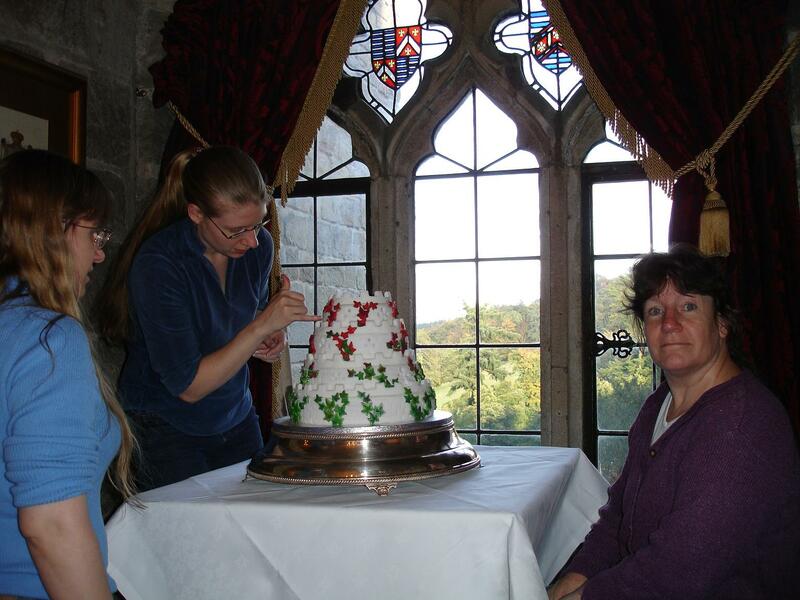 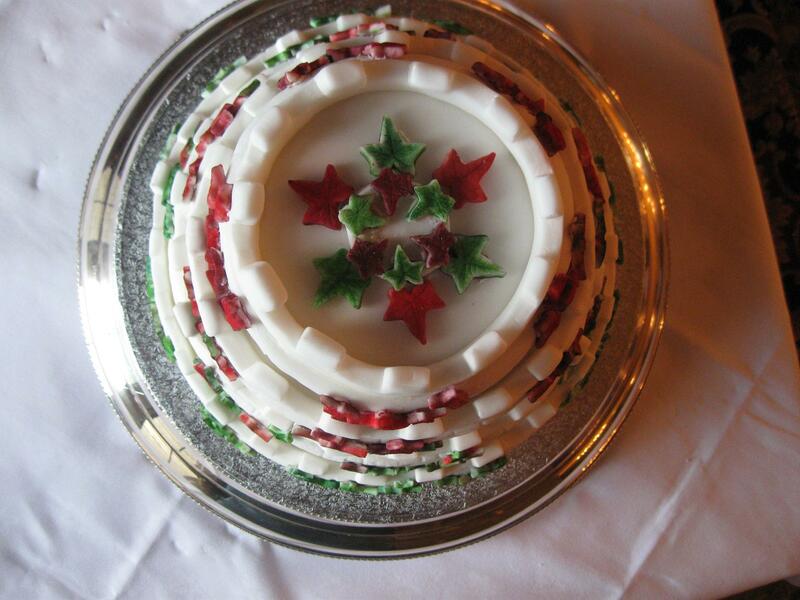 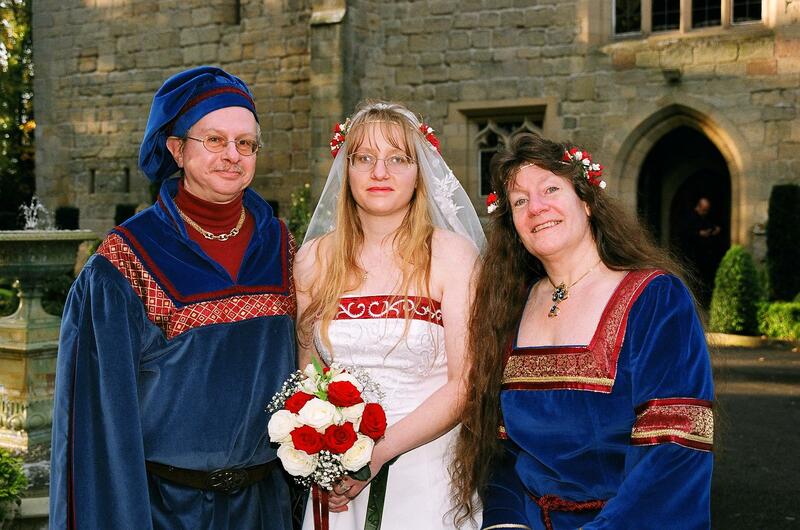 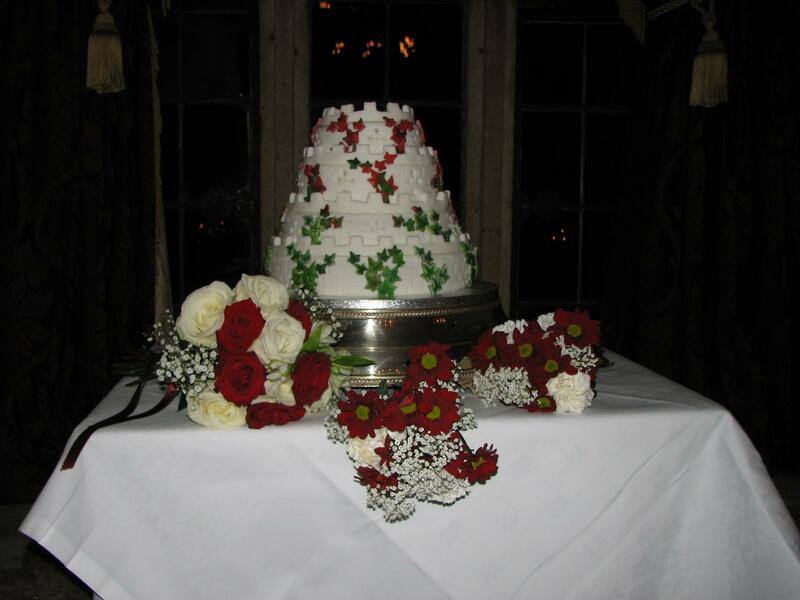 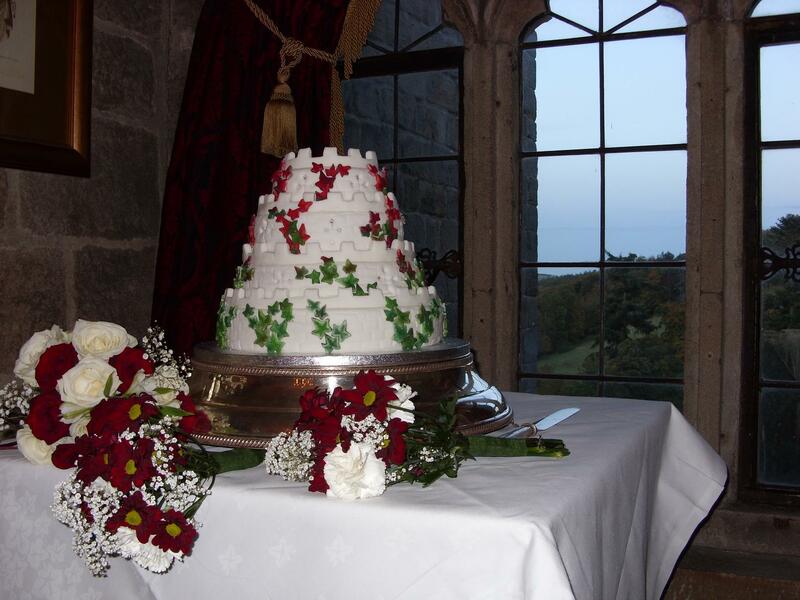 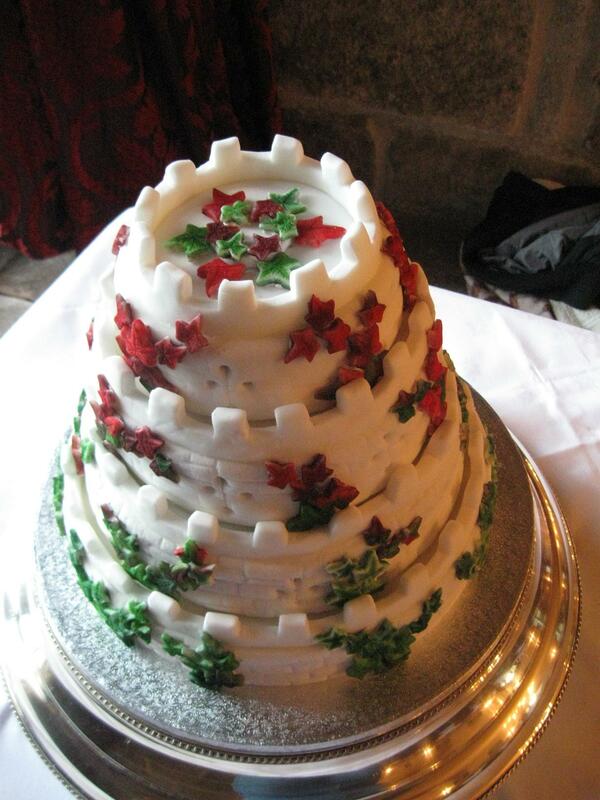 The wedding cake was created by daughter Arwen. 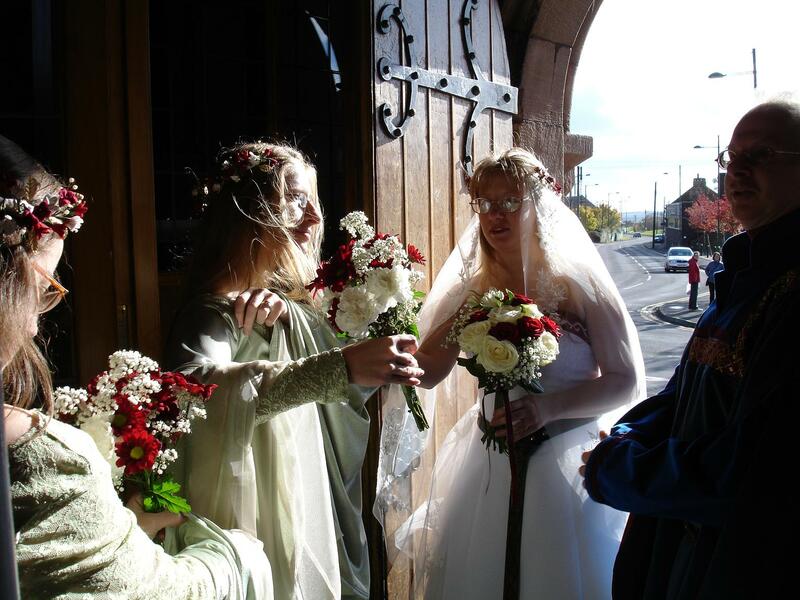 The bouquets and headbands of the bridal party were made by Coral. 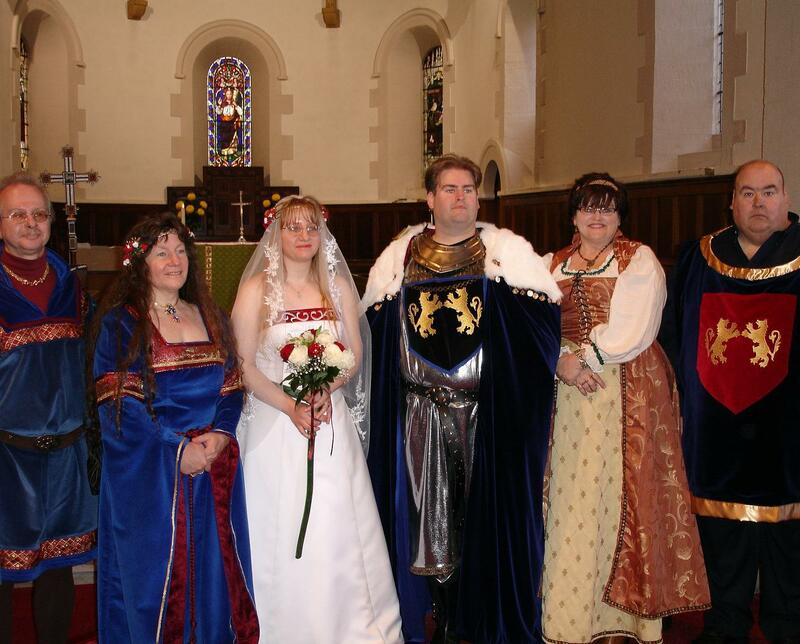 We (Thomas and Coral) the Parents of the Bride, and our son-in-law Barry wore garments designed and sewn by Coral, and she also altered and re-designed the gown of Arwen, the Matron of Honor. 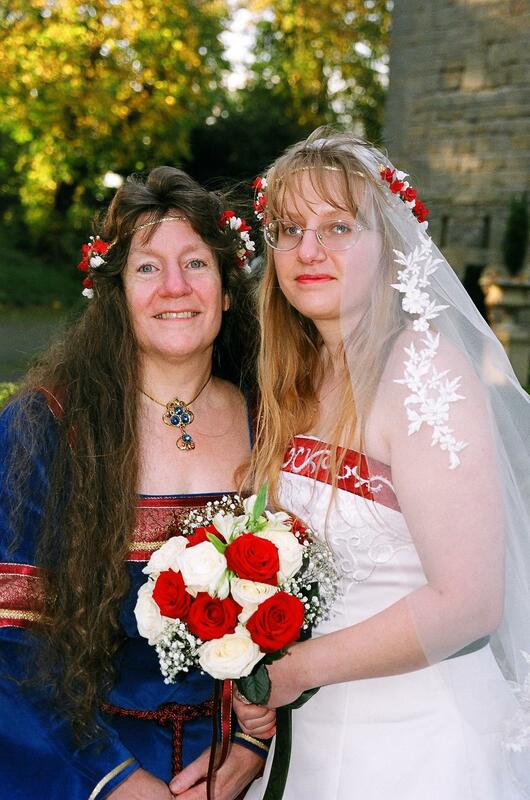 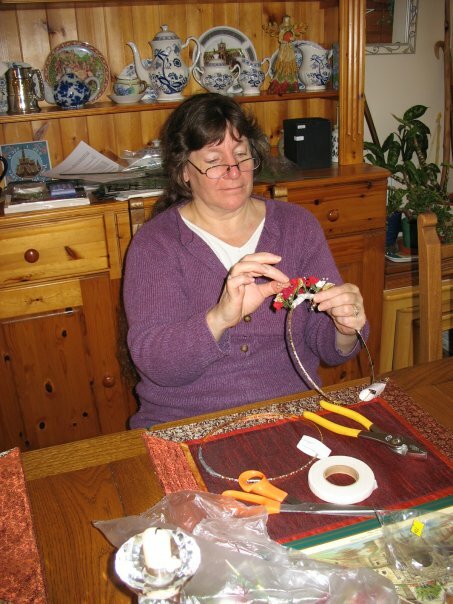 [However, she did not create the bridal gown nor the attire of our son Christian.] 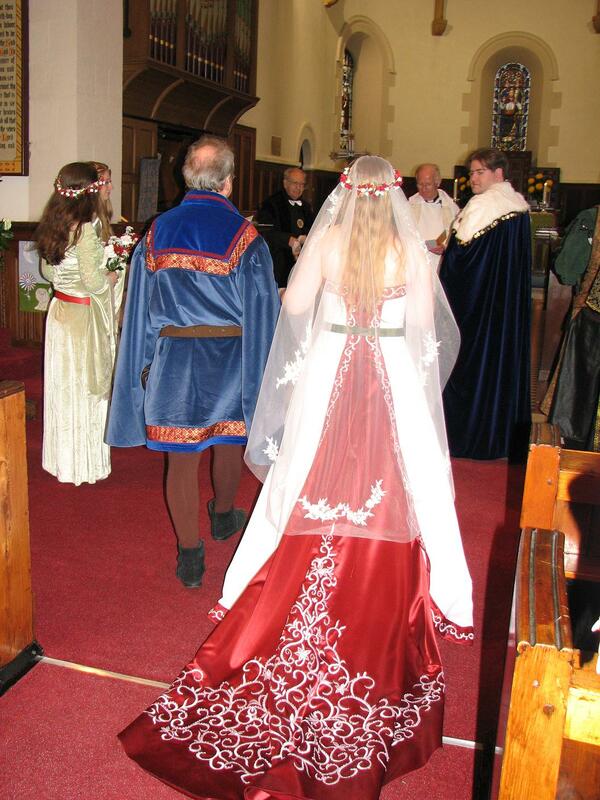 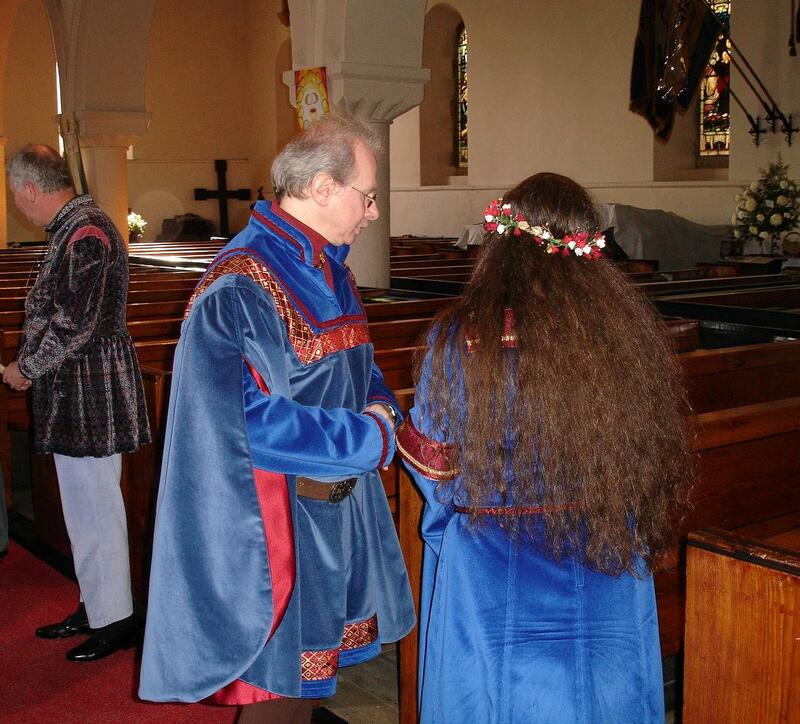 Rachel created the garments worn by the groom Joseph. 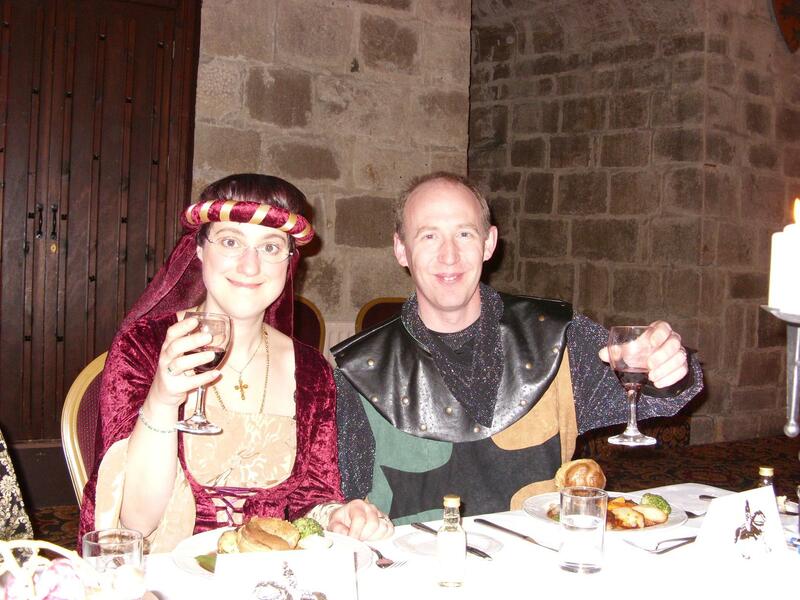 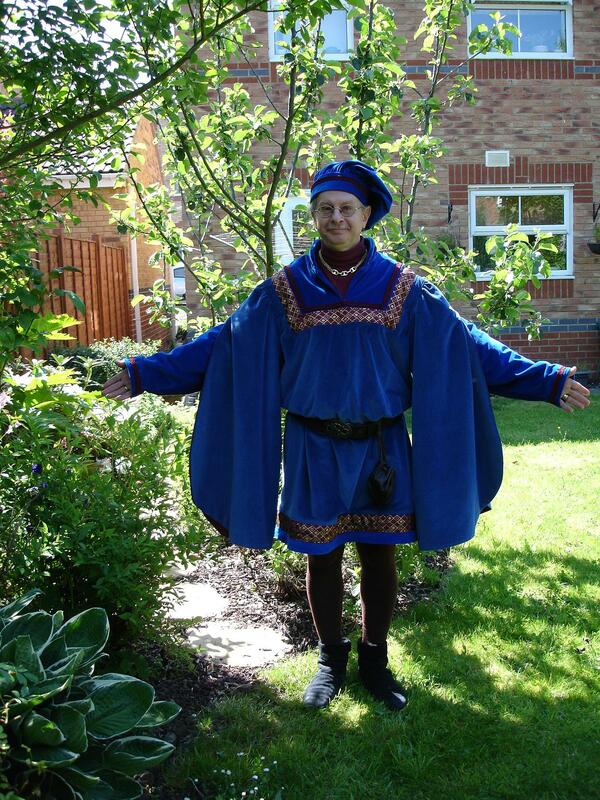 Other guests were likewise encouraged to wear appropriate attire. 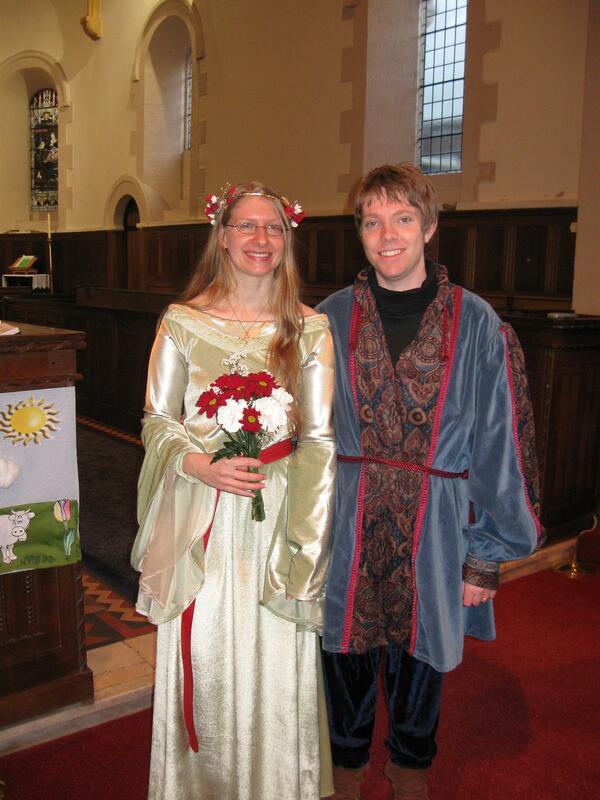 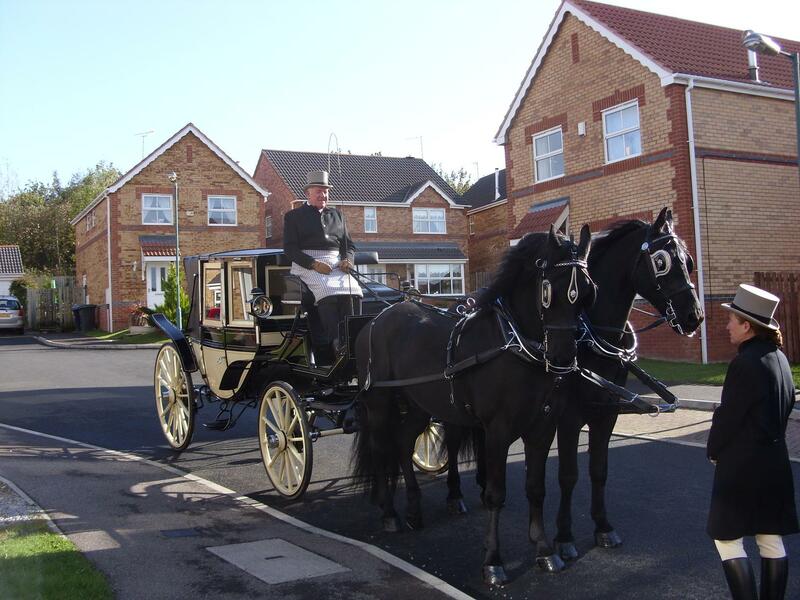 The "Wedding March", composed by Thomas, was first performed at his wedding to Coral in May 1975. 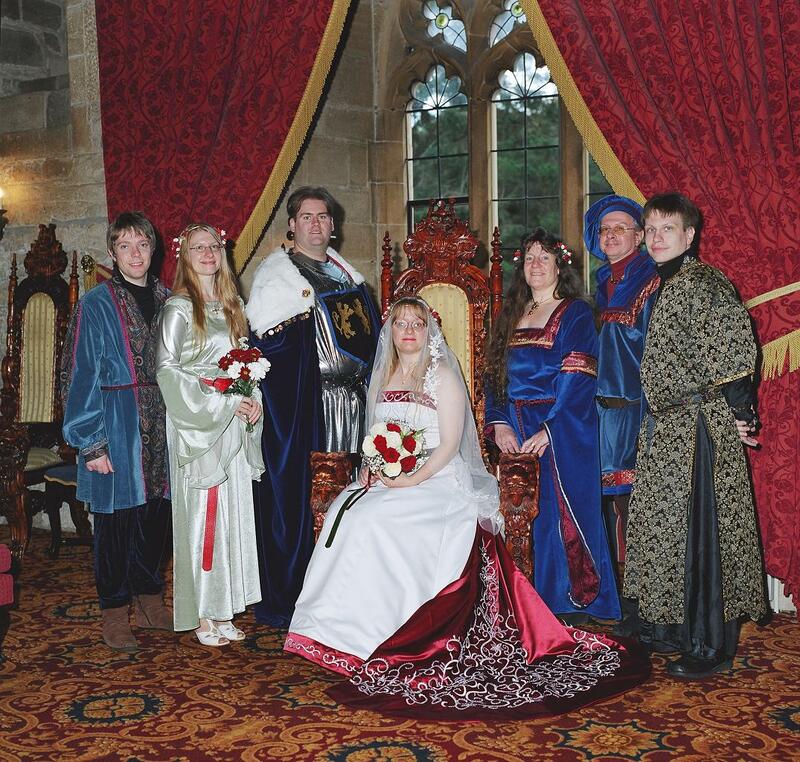 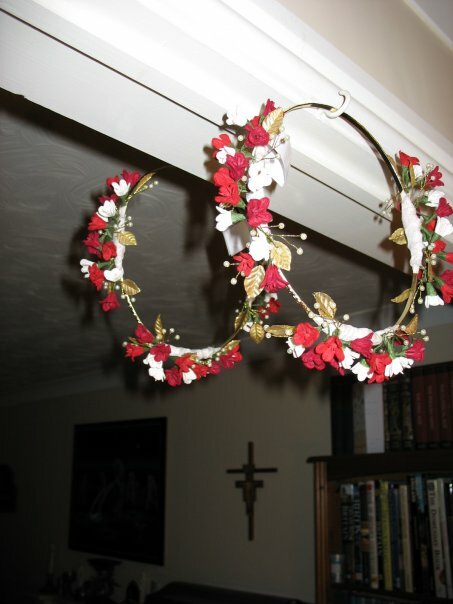 It was then used at the wedding of Arwen to Barry in July 2006, and on this occasion of the wedding of Rachel to Joseph was played by Barry. 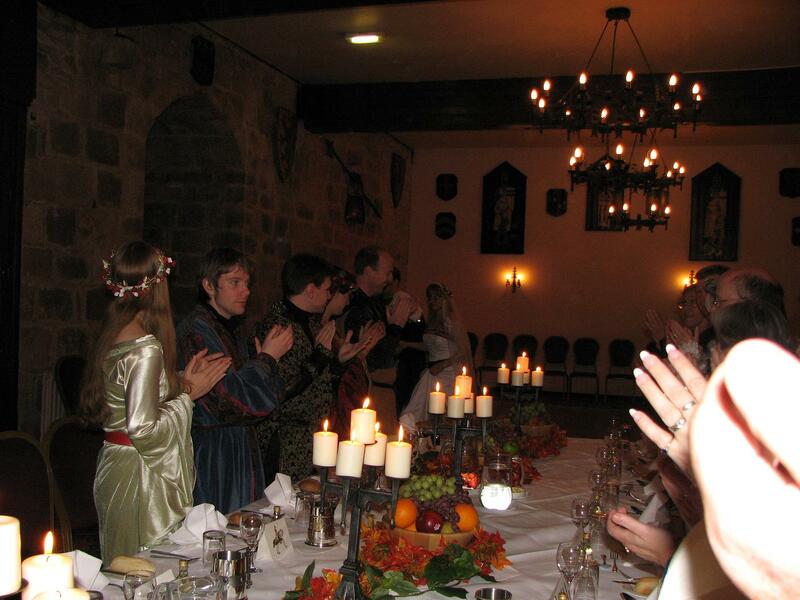 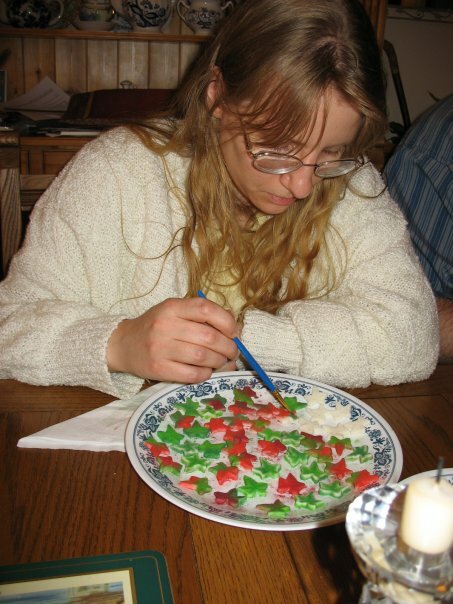 Enjoy watching the festivities unfold!